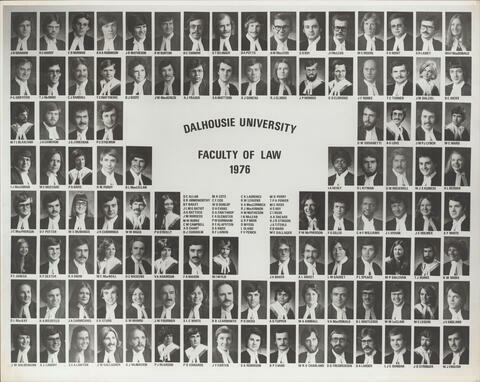 File contains three copies of a composite photograph of the 1975 graduating class of the Dalhousie University Faculty of Law. The photograph consists of portraits of J. B. Graham; R. C. Hardy; E. B. Norman; K. H. A. Robinson; J. R. Matheson; R. W. Birton; D. C. Tarnow; G. T. Slelinger; D. A. Potts; A. W. MacLeod; G. B. Roy; J. I. McLean; M. C. More; S. K. Mont; S. R. Lamey; M. A. F. MacDonald; R. G. Griffiths; T. J. McInnes; C. J. Randall; T. C. Matthews; D. J. Keefe; J. W. MacKenzie; A. J. Fraser; S. A. Mattson; G. J. Goneau; R. J. Clarke; J. P. Morris; G. D. Eldridge; J. F. Rorke; T. C. Turner; J. M. Dalziel; D. C. Hicks; M. T. L. Blaxland; J. A. Cameron; J. G. J. Greenan; P. C. Stolnuik; I. J. McLennan; M. E. Mustard; P. A. Davis; R. M. Purdy; B. L. MacLellan; A. G. Love; D. W. Giovanetti; J. M. P. J. Lynch; M. C. Ward; I. A. Healy; S. L. Kitman; G. W. Rockwell; W. J. S. Kunicki; H. L. Redden; J. C. MacPherson; D. F. Potter; M. S. McManus; J. R. Cummings; W. M. Biggs; P. H. O'Reilly; P. M. McPherson; F. G. Gillis; C. H. F. Williams; J. L. Vivian; J. E. Holmes; S. F. White; A. E. Janega; R. P. Dexter; R. A. Snow; M. C. MacNeill; D. C. Wickens; V. A. Adamson; F. A. Mason; M. I. Wylie; J. A. Baker; A. L. Sweet; L. M. Gaudet; P. L. Spears; M. P. Gallivan; T. J. Burke; R. M. Skoke; D. L. MacKay; R. A. Weisfield; J. 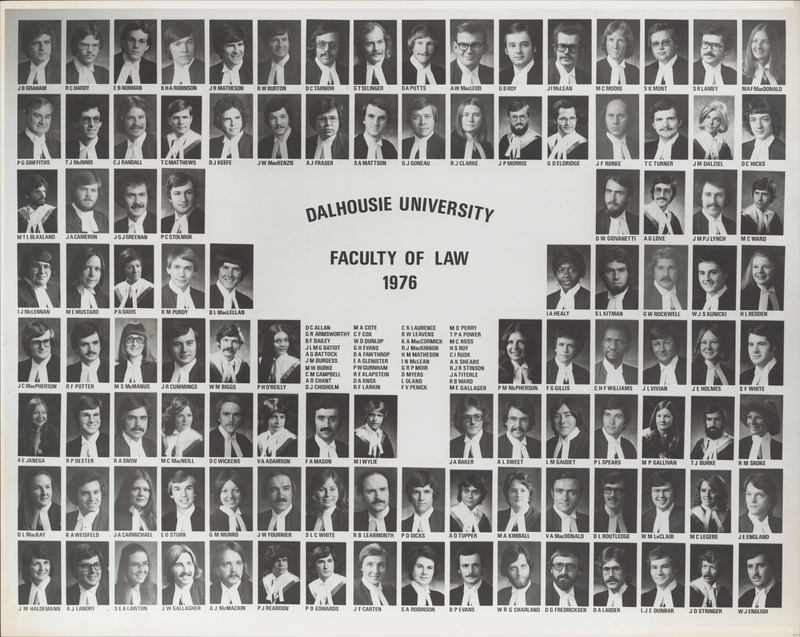 A. Carmichael; E. O. Sturk; G. M. Munro; J. W. Fournier; R. B. Learmonth; R. D. Dicks; A. D. Tupper; M. A. Kimball; V. A. MacDonald; D. L. Routledge; W. M. LeClair; M. C. Legere; J. E. England; J. M. Haldmann; A. J. Landry; S. E. A. Lawton; J. W. Gallagher; A. J. McMackin; P. J. Reardon; P. D. Edwards; J. F. Carten; S. A. Robinson; B. P. Evans; W. R. G. Charland; D. G. Fredericksen; D. A. Larder; L. J. E. Dunbar; J. D. Stringer; W. J. English; D. C. Allan; M. A. Cote; C. K. Laurence; M. D. Perry; G. R. Armsworthy; C. F. Cox; R. W. Leavens; T. P. A. Power; B. F. Bailey; W. D. Dunlop; K. A. MacCormick; M. C. Ross; J. L. M. G. Batoit; G. H. Evans; R. J. MacKinnon; H. S. Roy; A. G. Battcock; D. A. Fawthrop; H. M. Matheson; C. I. Rusk; J. M. Burgess; E. A. Glenister; I. N. McLean; A. K. Shears; M. W. Burke; P. W. Gurnham; G. R. P. Moir; R. J. R. Stinson; C. M. Campbell; R. E. Klapstein; D. Myers; J. A. Titerle; A. D. Chant; D. A. Knox; L. Oland; R. B. Ward; D. J. Chisholm; R. F. Larkin; F. V. Penick; and M. E. Gallagher arranged in eight rows.